To do these pages you will need a database with a reasonable amount of data so we will create one an easy way. 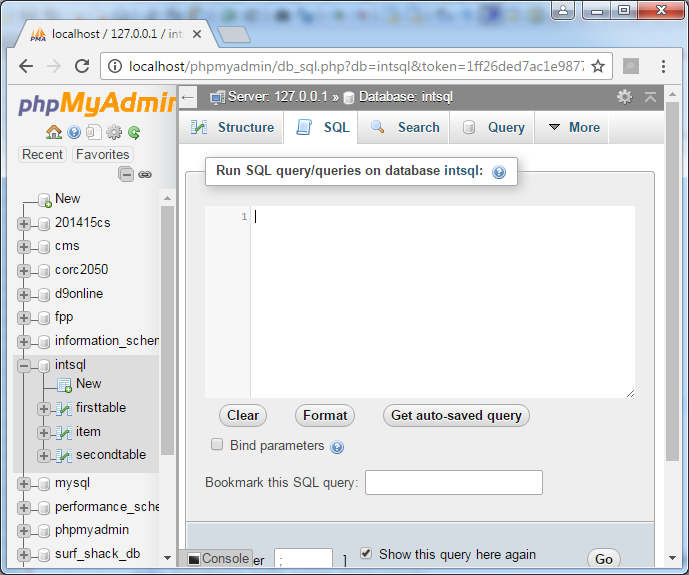 In PHPMyAdmin click on your database name (intsql or your only database) on the left. You are doing this so that no table is selected but you have selected a database for the new table to go into. You now have a new table with data in it. If you do not understand what you just did examine the queries because you wrote ones just like it in the Beginners SQL section.